Meijer: **HOT!! 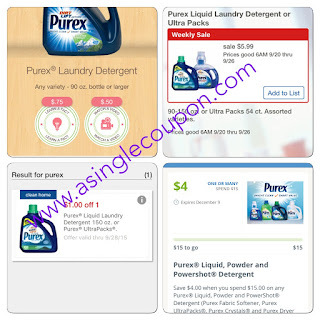 ** Purex Laundry Detergent for only 3¢ a load! Final Cost: $8.72 for 300 load's of laundry.....work's out to be only 3¢ a load!